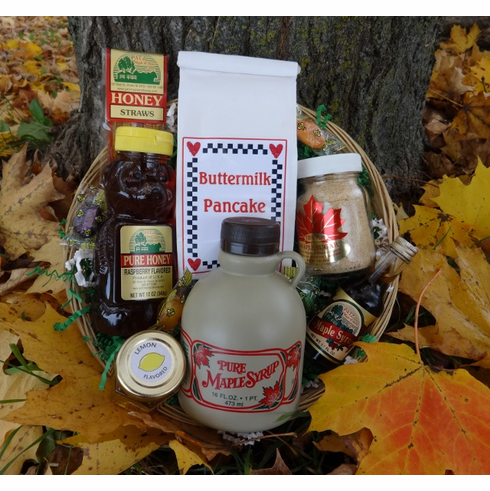 A basket filled with a generous sampling of our Wisconsin made products... a pint maple syrup, 16 oz. buttermilk pancake mix, 12 oz. 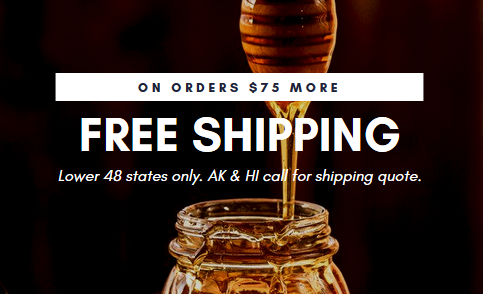 raspberry flavored honey bear, 3 oz. maple sugar, 1.7 oz. maple syrup, 1.75 oz. lemon flavored honey, and a package of assorted flavored honey straws.